Our team is dedicated to our clients and their well-being. 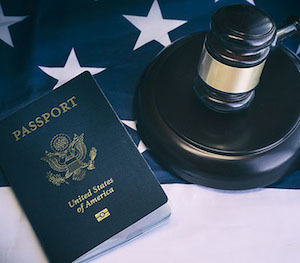 We handle all types of immigration cases and we would be glad to set up a free consultation* to discuss your matter. We pride ourselves in our communication and focus on our clients, let us show how that dedication can work for you. If you speak Spanish and are looking for an immigration attorney we have a team prepared to help and communicate with you. Our office has a native Spanish speaking assistant and your attorney is able to speak Spanish as well. We believe this separates us from a lot of our competition. This ability to speak your native language also allows us to better communicate and understand your questions and concerns so that you get the best representation possible. This form is using on the first step of petition for Alien relative. This form is use to request a travel permission when client need to have emergency travel out of Country and to be reentry legal. This form all ways going attached with I-485 application along with last three years taxes. This form is using to replace the green card. This form is to apply to become a Citizen. This form to request the Police Certification. This form is to apply for U-Visa basic of Assault or if someone has been a victim of crime and become to change the legal status. (Work Permit) and eventually become an permanent resident (LPR).